Professional body art is an investment of both time and money. You want it to look as fresh and vibrant as possible for years to come. The right aftercare is essential to preserve its beauty. You may have heard the suggestion to put coconut oil on tattoos to help them to last longer. This fatty, natural oil is excellent for many things: for health, soft and shiny hair, and even for your skin. What about using it on a new tattoo? Are there dangers you should be aware of or precautions you should take? Let’s take a closer look at when and how to put coconut oil on tattoos. 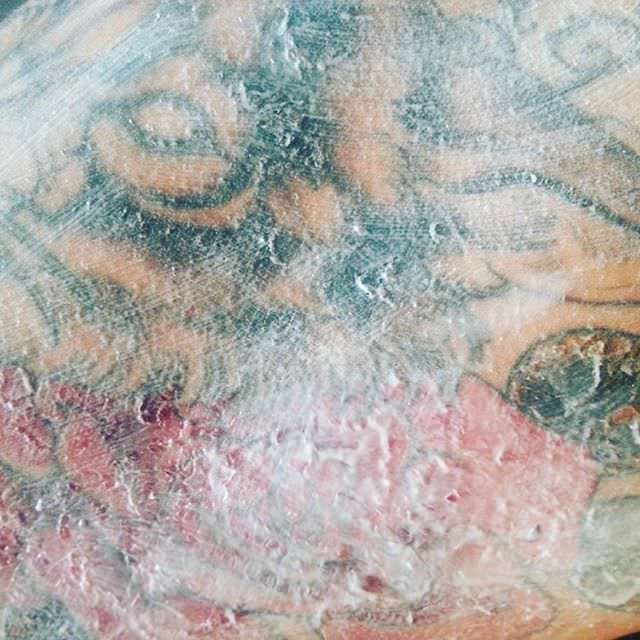 Is It Safe to Use Coconut Oil on Tattoos? Coconut oil is safe to use on tattoos. The white flesh of this round, giant nut, derived from the coconut tree contains many nutrients. Some health professionals advise against consuming coconut oil, due to its high-fat content. This is mainly due to its saturated fats, which cause the bad LDL cholesterol levels to rise. Today's health-minded generation, however, is praising the benefits of this fatty nut as a solution for skin issues. Coconut oil is the melted fat within the flaky flesh of the nut. Like all oils, the fat content is extremely high, making it calorie-dense. This is why some people recommend that we shouldn't consume excessive amounts. The oil, nonetheless, holds numerous benefits for your skin and tattoo. Some of the components it contains include saturated fatty acids, such as lauric, myristic, palmitic, and caprylic. These have a number of plus-points which are explained below. Coconut oil also contains beneficial vitamins, such as vitamins E and K. These are excellent for treating dry, broken skin. They provide moisture and rejuvenate the area. Coconut oil is safe to use, due to its relatively low allergy risks. Many ointments and lotions contain an array of manufactured ingredients, whereas coconuts are natural. Although allergic reactions do occur, they are very rare. Coconut oil will also not fade your tattoo. As we have explained, coconut oil is safe to use on your skin. Identifying the specific benefits of using it helps you to know when you should apply it and when not to. Especially with new tattoos, it is essential to have some basic knowledge of aftercare. Overdoing it, as well as not doing enough, can also lead to adverse outcomes. Following the tattoo session, your skin will likely be dry and in need of added moisture. New tattoos are self-inflicted, short-term injuries. The aftermath of the needles pricking the dermal layer of your skin can leave the area broken and cracked. When your body art is missing moisture, it risks becoming irritated. The tattooed area will likely itch, and scratching is a big no-no since it could ruin the artwork. Itchiness and dryness can lead to peeling skin. Unfortunately, too many of us can't leave scabbing or itchy skin alone. Coconut oil will not only moisturize the skin, but if there is scabbing or peeling, it works as a gentle exfoliator. The fatty acids within this oil also help to retain your skin's natural moisture without clogging the pores. 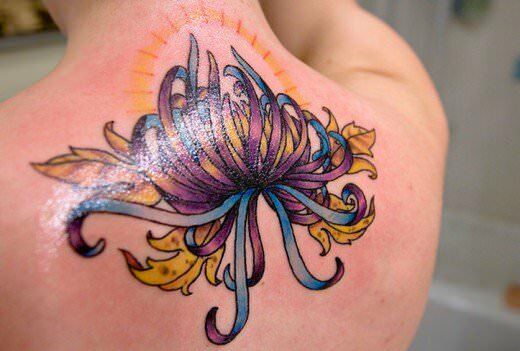 Your new tattoo may look stunning and colorful, but it is a breeding ground for infections. These occur more often than you might be aware. Because of this, most tattoo artists will advise you to include an antibiotic ointment in your aftercare routine. Antibiotics are crucial when treating infections, but not necessarily a requirement unless there actually is one. Using them as a preventative measure can even be problematic. Applying antibiotics when not needed leads to resistance in the future. Not only that, but many medicated ointments contain a petroleum jelly base which isn't ideal for your new tattoo. Fortunately, coconut oil contains several nutrients that act as a natural antiseptic. The capric, lauric, and caprylic acids which are found in coconut oil, can keep you protected from microbial infections. Coconut oil is also easier to rinse off than most medicated ointments. Petroleum jelly found in topical antibiotics will stick to your skin. With coconut oil you will avoid having to scrub your new tattoo, avoiding possible irritation or broken artwork. These vitamins, present in coconut oil, are powerful nutrients. These can contribute to strong hearts, healthy bones and smooth skin. Both vitamin E and K are fat-soluble substances. In addition to coconut oil, we find them in foods such as leafy vegetables, nuts, fruits, and seafood. When we extract these vitamins, we get an oil-soluble nutrient that is much more substantial than water. Applying them to our skin can restore previously lost moisture and keep the area healthier. Vitamin K, in particular, can trigger a natural process of blood clotting in wounds. This may work better when it is consumed rather than applied topically. However, direct application to the skin still promotes a healthy healing process, especially when combined with vitamin E.
Some skin care products available on the market actually contain substances that can be harsh on the skin. Allergic reactions are on the rise in today's world. Some feel that this is due to over hygienic lifestyles, while others suggest it results from excessive use of antibiotics. Whatever the cause, many people report adverse reactions to antibiotics. Unfortunately, antibiotic creams are often recommended as part of the aftercare for new tattoos. This means that many experience undesirable reactions, which compromise their art. 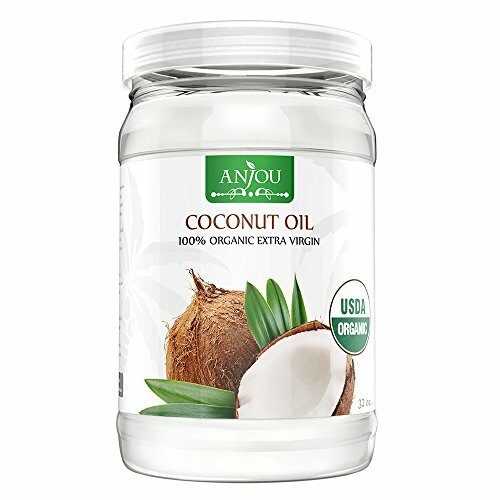 Fortunately, coconut oil does not contain any unnatural ingredients, and is rarely an allergen. It therefore provides you with an all-natural alternative, without compromising the need for protection. The benefits of coconut oil are not limited to caring for your new tattoo. Coconut oil does not contain any animal products and is not tested on animals, making it a cruelty-free product. This oil is also extremely easy to obtain. It is sold at almost every grocery store or health food market. In addition, it’s generally quite affordable, and has a long shelf life. 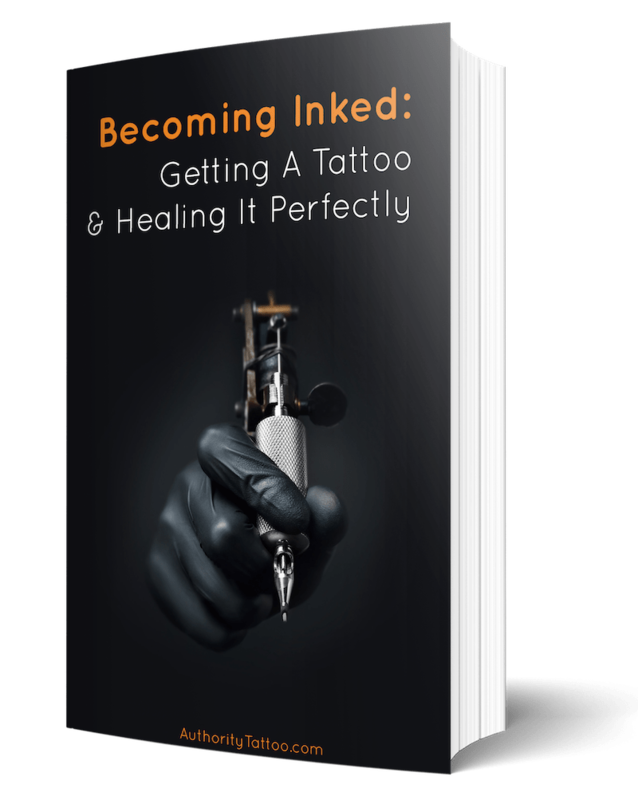 Even when the healing time for your tattoo is up, you can continue to reap the benefits from the oil. 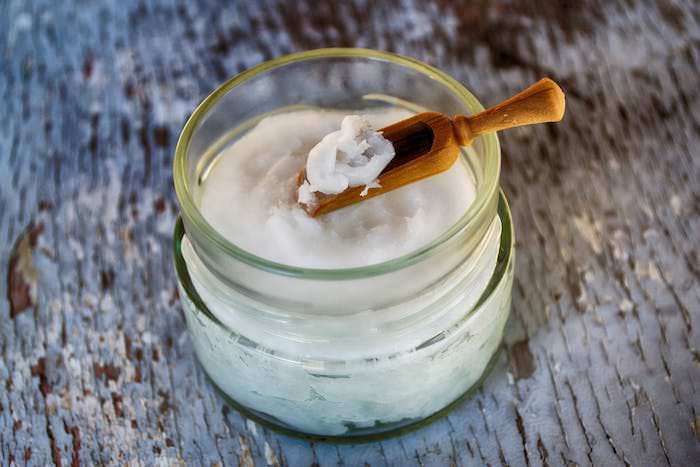 Many people find coconut oil to be a perfect alternative to expensive makeup removers. It can even be used to take off waterproof mascara. 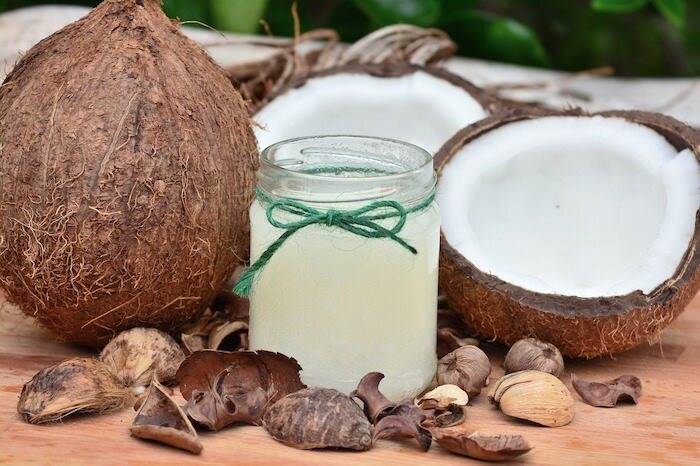 Because coconut oil is so mild, it works wonders on soothing skin conditions, such as psoriasis and eczema. The fatty acids and healing vitamins can even help to reduce wrinkles and to ease acne-prone skin. Coconut oil will continue to benefit your tattoo long after the healing process has finished. You can apply some directly on your tattoo at any time to make its colors look more vibrant, or just to give some extra shine. There are various forms of coconut oil available. These include refined, dry-processed and wet-processed, among others. Because your skin will be quite sensitive, the best one to choose for your aftercare is refined, cold-pressed oil. With any new product you intend to use on a potentially sensitive spot, a patch test is essential. Although coconut oil is relatively safe to use, compared to other oils, adverse reactions do occasionally occur. These are never pleasant to deal with, especially on your new tattoo. The way to do a patch test is by applying a small amount of the product on your skin. This should preferably be a place like the inside of your forearm. The area doesn't have to be large; you just want to aim for a coin-sized section. This way, if you do experience irritation, it is not going to be widespread. Apply the oil and cover the area with a bandage. Wait at least 24 hours and if no reactions occur during this time, you know it is safe to use. Since coconut oil is safe to use, in general, you can apply it as often as you like. For a new tattoo, however, you don’t want to overdo it. Applying too much can make it harder for your skin to breathe. Remember, oxygen is vital when you are trying to heal your new tattoo. Exact dosage is difficult to pinpoint. Everyone you ask will likely tell you something different. Generally, a fingertip’s worth of coconut oil is enough. Thin layers go a long way, and your skin can't absorb an excessive amount at one time. Your skin will likely tell you when enough is enough. If it feels like you’ve applied a heavy coat of coconut oil, take some off. The area should feel smooth, but not sticky. Apply the coconut oil every time you wash the area. After showering and washing with even just a mild soap, moisture in your skin escapes. Dry skin will leave the area feeling itchy and irritated, and this is what you want to avoid. Ask your tattoo artist how often he or she recommends cleaning the area and follow their instructions. Usually they will tell you to wash it two to three times daily, during the days following the new ink. We want to avoid any unnecessary risks to ensure that our tattoos last a lifetime. Always consult your tattoo artist for their recommendations. Aftercare tips will often vary from expert to expert. This is due to the specific techniques the individual artists use, and also their personal experiences. Some say that you should wait until the initial healing time is up before using coconut oil. This could be several days, depending on your skin. Others say it is okay to apply as soon as the bandage is off. Don't use coconut oil from a previously opened container. Make sure that the bottle or jar is sealed to avoid any contamination. Wash your hands thoroughly with soap and water before using it. Keep it away from roommates, kids or pets; germs can contaminate the coconut oil and possibly lead to an infection. Using coconut oil on tattoos is an excellent idea since it contains natural healing powers. The oil provides moisture, nutrients, and protection without clogging your skin. Make sure you do a patch test first, and remember that less is better. Following these suggestions can help promote faster healing and years of enjoyment from your new art.